Rowcroft Hospice has secured a grant from the Sam Buxton Sunflower Healing Trust for a dedicated Reiki Therapist to work with patients and their families. 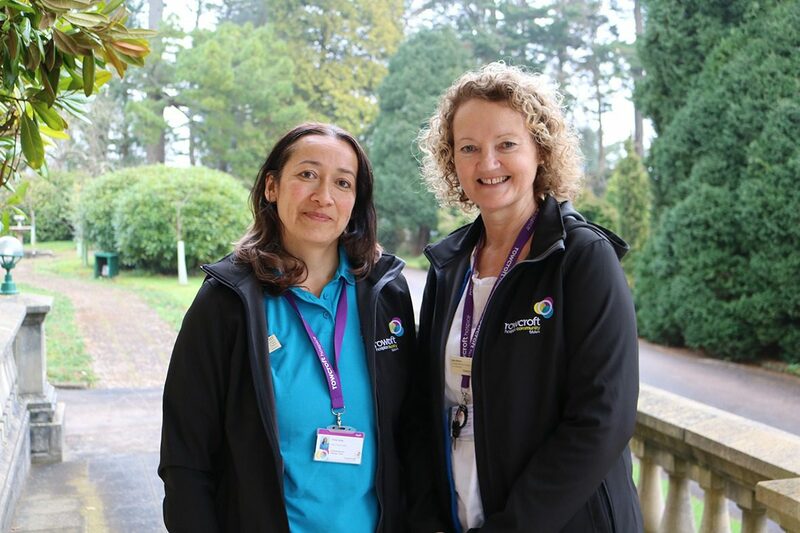 Reiki Therapist Hilda Kalap will join the hospice’s Complementary Therapy Team, which provides free of charge services to help patients and their families to relax during some of the most challenging and difficult days of their lives. The range of therapies offered by the team includes Reiki, Aromatherapy, Reflexology Massage, Shiatsu and Bowen Technique. The grant received by the hospice will fund the Reiki Therapist position for 7.5 hours a week over the coming year, enabling Hilda to see a minimum of six patients on the hospice’s Inpatient Unit and at its Outpatient Centre. Hilda said: “Reiki aims to bring about balance in mind, body and spirit. The grant for the new post was secured following a visit to the hospice by two Trustees from the Sam Buxton Sunflower Healing Trust, who noted how impressed they were with Rowcroft’s Complementary Therapy service. Angie Buxton-King, Trustee at Sam Buxton Healing Trust, said: “Our aim as a charity is to support patients and their families at every stage of their cancer journey. This includes respite and end of life care. Julie’s team at Rowcroft is therefore a natural fit for our charity’s work. For more information about Rowcroft’s services and how you can help to support the hospice’s work by making a one off or monthly donation, visit www.rowcrofthospice.org.uk. For more information about the Sam Buxton Sunflower Healing Trust, visit www.cancertherapies.org.uk.